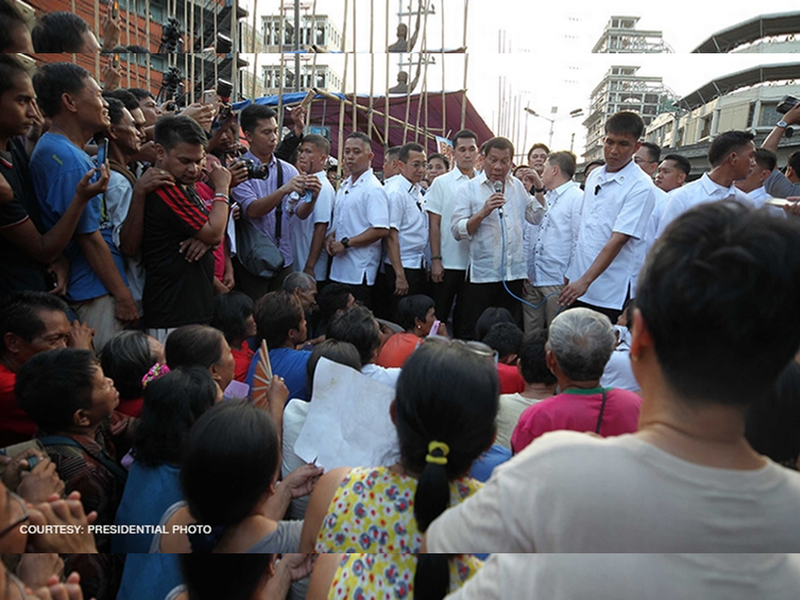 For the first time in history, the Philippine President mingled and listened to the concerns of the rallyists on the field, outside the comfort of Malacañang Palace. 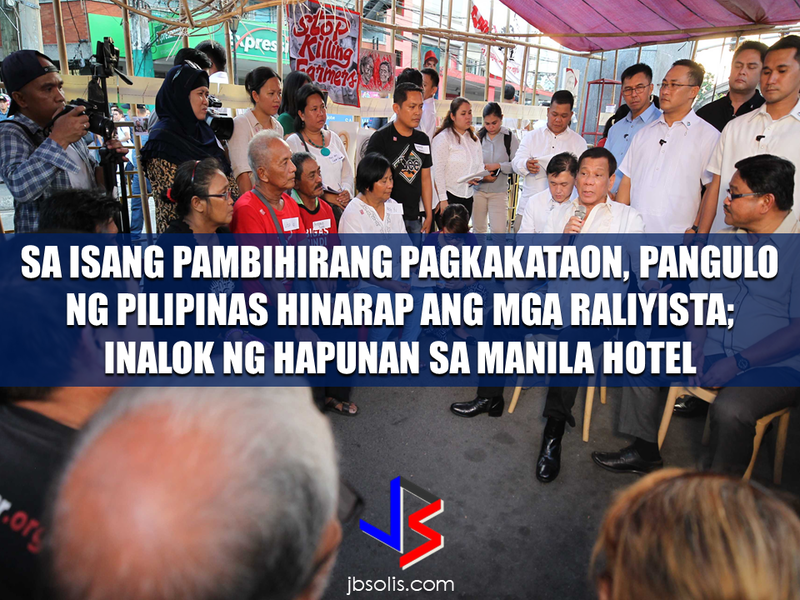 President Rodrigo Duterte even invited the farmers who were camping out on Mendiola for a dinner at the Manila Hotel. 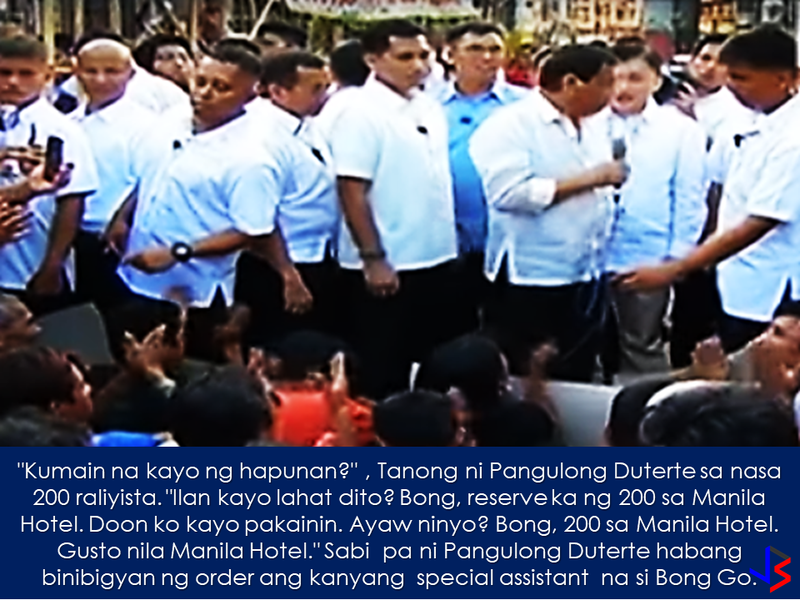 Duterte added not to mind the "barong"-wearing people in there and he told the rallyists to say that the "mayor" want them to enjoy a dinner at the Manila Hotel. Around 200 banana farmers went to Mendiola to ask Duterte to intervene and order Lapanday Foods Corporation to follow government rules to turn the lands over to the beneficiaries of the agrarian reform program. The farmers are members of the Madaum Agrarian Reform Beneficiaries Inc. (MARBAI) in Lapanday Foods Corporation in Tagum, Davao del Norte. Agrarian Reform Secretary Rafael Mariano was supposed to install MARBAI farmers to the 145-hectare land on April 18, but to "ensure the safety and security of agrarian reform beneficiaries", it was postponed. Lapanday Foods Corp has 800 armed security guards barricaded the plantation. Immediate installation of farm workers and agrarian reform beneficiaries (ARB) to their lands. Rescind of the onerous agribusiness venture agreement between the ARBs and Lapanday. End the violence and attacks against farm workers. 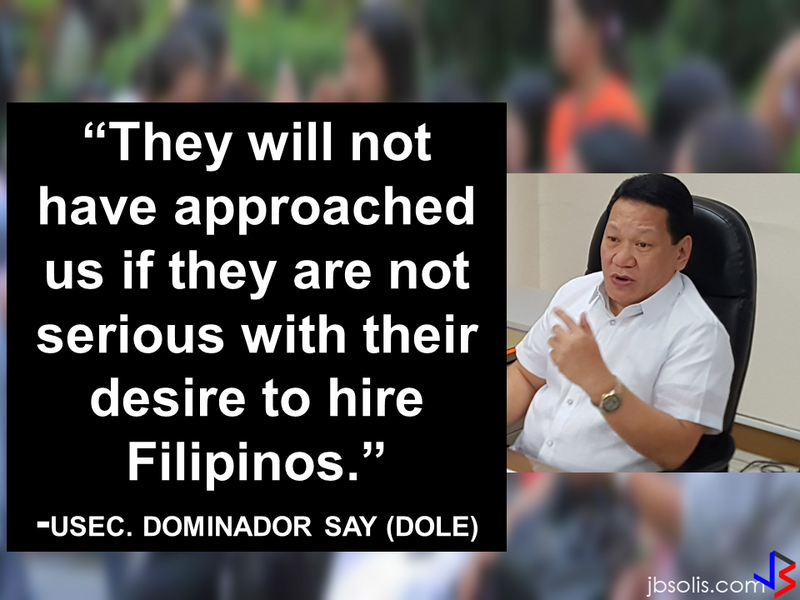 Pull-out and punish armed security guards and goons of Lapanday. 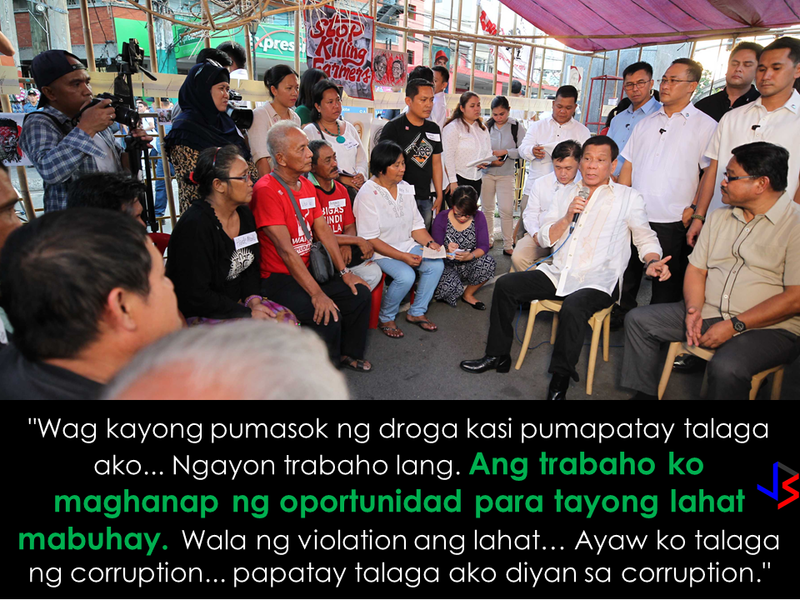 During the meeting with the farmers, President Duterte reminded them to keep themselves away from illegal drugs. The unorthodox ways of President Duterte maybe the reason why he won the heart of the masses in spite of the criticisms, the president works continuously for the welfare of the common Filipinos.